Of all the things that can affect our pets, ticks are some of the smallest, yet can pose one of the most significant threats they face. Not only can a tick give a dog some of the same diseases that humans can get, but dogs are a common way for ticks to get indoors into a human environment. They just hitch a ride on a furry, four-legged creature! 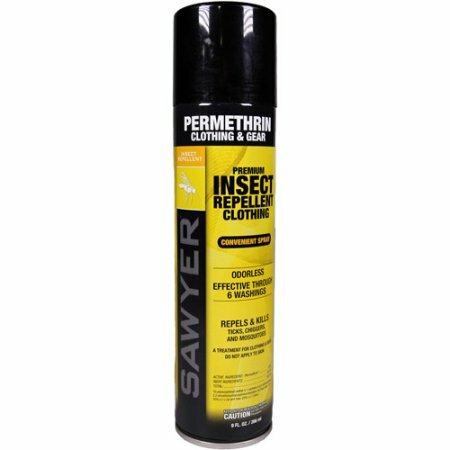 How are you supposed to be able keep a pet tick-free when his or her job is to roam around outside in yards and parks? 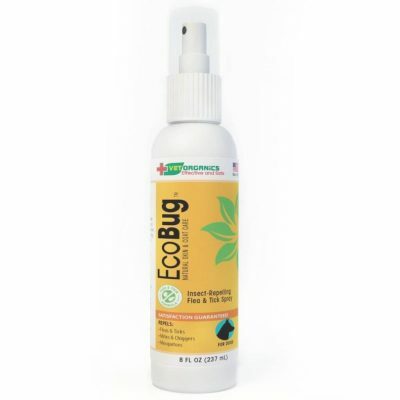 If you live in a tick-prone area, you definitely want to use some kind of pet tick repellent on a regular basis. That isn’t always failsafe, though. Sometimes your dog will pick up a tick or two. Dogs love grass, but so do ticks. Finding ticks can actually be difficult, they are small and disappear even into short fur, especially before they have fed. However, after they attach to your pet, the tick will engorge over time, usually around 72 hours, as they fill up with your pet’s blood. When engorged in this way, they can often be spotted more easily, as a small bump in the fur. When they get quite large, they will actually change color, becoming quite white, as they balloon up in size. While you can’t get a tick-borne disease from your pet, it is best to keep ticks away because they can make your pet sick, and pets often are the reason ticks get into the house. While all this sounds gruesome, your pet is unlikely to be in any discomfort, as the ticks inject anesthetics into the area they are feeding from to prevent pain. With 8 legs and a small black head, ticks are related to spiders, and like spiders come in a variety of species that vary in shape and color. All are small though, and all feed in the same way, so if you do find a bump and uncover a tick, what should you do? The first thing is not to panic, your pet is not in any immediate discomfort and you need to remove the tick safely, and while getting it done as quickly as possible is good advice, doing it right is the most critical part. 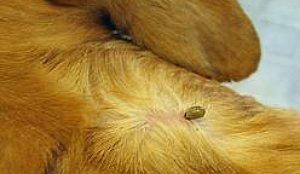 The most important thing when getting rid of a feeding tick is that you want to avoid anything that shocks the tick into regurgitating anything in its gut into your pet, as that is how the diseases they often carry is transmitted. This means you shouldn’t try burning it, suffocating with petroleum jelly or any of the other wild solutions you sometimes hear of. Those are all old wives tales, and are no effective nor are they safe for you you or your dog. When removing a tick, you need to understand how its attached. The mouth parts have reverse barbs that dig into the skin to hold the tick in place, and removing the tick is all about loosening that connection. So, put on some gloves if you would like, grab your tweezers or tick removal tool if you have one, and get to work. If you have a tick removal tool, slide it under the tick mouth parts between the head and the skin, so it’s in the right position. If you are using tweezers, then you want to grab the tick as close to the skin as possible in a similar position to the tick holder. Do not push on or squeeze the engorged tick body — focus on the tick’s head, nose, and mouth. The technique for pulling to tick out is the same whether using tweezers or the tick removal tool, first twist the tick several times to loosen the reverse barbs, then pull the tick away in the same direction it went in. Never try to pull straight up or twist as you pull, gentle even pressure is the way. Eventually the tick will release its grip, just be patient. You should be left with a clean wound with no mouthparts left in there. You then disinfect the wound and everything should be fine. If you see some mouth parts left over, and it can happen occasionally, don’t worry. Disinfect the area as normal, and leave it. Trying to dig the head out can cause problems itself, so leave it alone and the dog should expel it in a few days, however keep an eye on the area and if you see swelling or redness, check with your vet for infections. There are a couple of important safety points here, always wear gloves if you can. 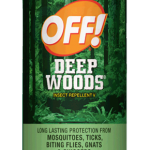 Ticks carry all kinds of diseases, and while you probably won’t pick anything up from skin contact, you might as well avoid exposure. Second, never squeeze the body of an engorged tick when attached to your pet. 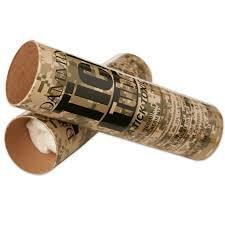 That will cause it to regurgitate the contents of its stomach, which can infect your dog or cat. If the removal process irritating or punctured any skin, consider putting a little rubbing alcohol on the wound. If you can, put the tick into alcohol, either a jar or a little sealable bag will do. 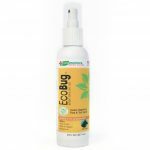 This kills the tick, which stepping on it or flushing it down the toilet will fail to do, but also preserves it so your vet can identify the cause in the vent of your pet becoming sick after in case you are wary of the tick being infected. As for the good old common wood tick, they likely don’t have disease, but removing them is still important for the comfort of your dog. Because there are a few diseases that your pet can get from ticks, it is important in the days after a tick removal you keep an eye on it for any problems. Lyme Disease is one of the more common problems associated with ticks, this can manifest as lameness, fever, swollen joints or lymph nodes, stiffness, fatigue, or loss of appetite. If you see any behavior that is concerning, limping in particular is a simple on to spot, ask your vet to check, and if you were able to preserve the tick, don’t forget to take it with you. If your dog is in an area with ticks, you are too. 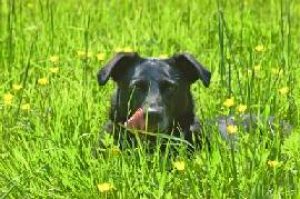 Even if you don’t spend a lot of time outdoors, that dog that likes to play in the long grass can easily bring a tick indoors. Be sure you know the basics of how to check for ticks, and when in doubt consider using a tick repellent just to be safe. 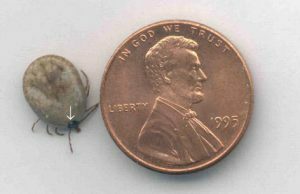 Also, keep in mind that ticks can be active from early spring through late fall — much longer than many people incorrectly assume.